Sometimes it can be intimidating to see the amazing things food bloggers are doing. You can’t help but think, “I can never make a pie that looks like that.” And you’re probably right, because some earnest soul spent two days hours cutting tiny dots of pastry dough to be painstakingly placed in perfect concentric rings on a rhubarb/pomegranate/frangipane pie. Beautiful to see, impossible to replicate, so I stick to things I think people might actually try to cook. This is not to say I don’t love those time-intensive blogs, but they’re more something to admire, like a beautiful painting, than as a resource to widen my own cooking horizons. 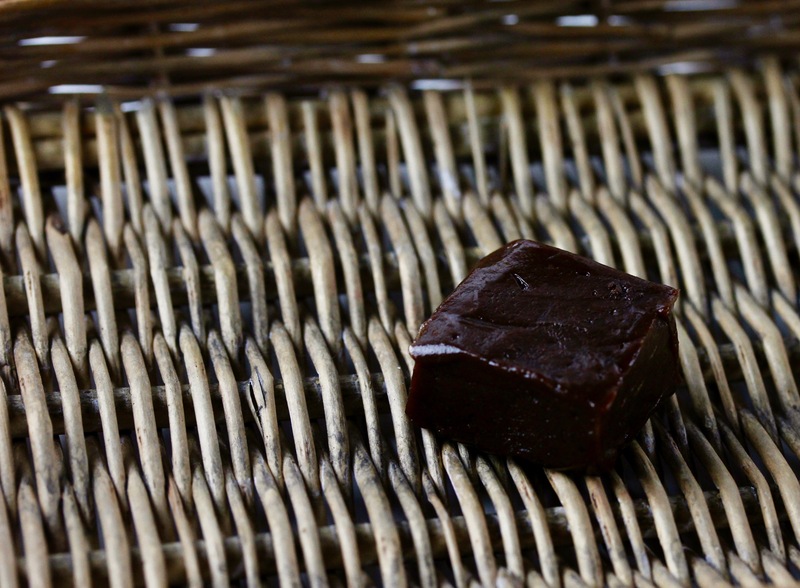 This ‘fudge’ needs to be stored in the freezer because it has no preservatives. The pieces are individually wrapped, so you can pop a few out of the freezer, let them soften a couple of minutes, and enjoy. 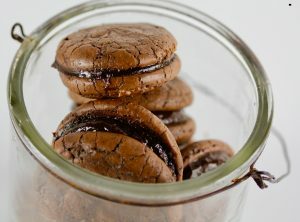 I have come to love this recipe because one piece gives me a big energy jolt when I’m running out of steam – like a double espresso without the caffeination. 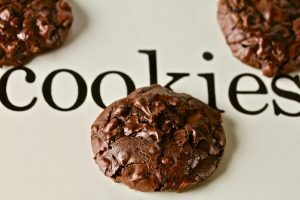 It also healthfully satisfies a sugar craving, so an all-around great recipe to add to your regular rotation. Put almond butter, cacao and coconut oil into a food processor and combine. 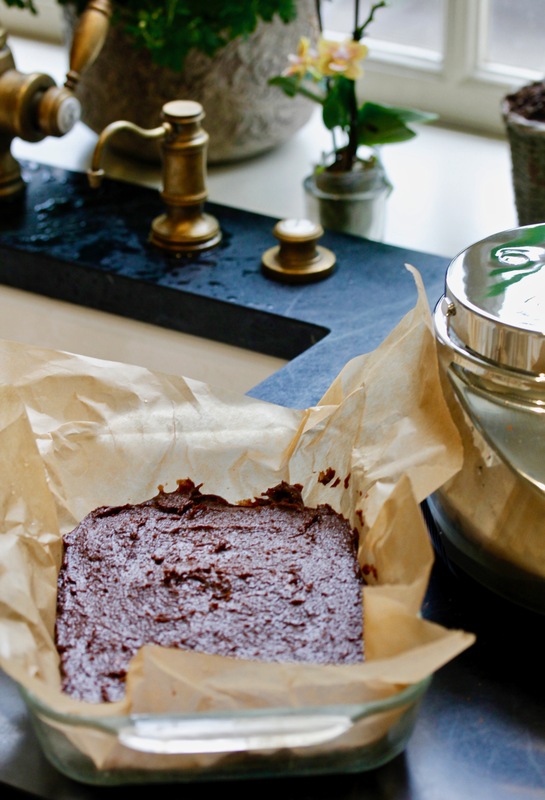 Line a shallow baking dish (8×8 or 10×10”) with parchment paper. Add dates to food processor and process until mixture is combined. Pour into baking dish and smooth mixture along bottom of pan. Place in freezer for at least three hours. paper. 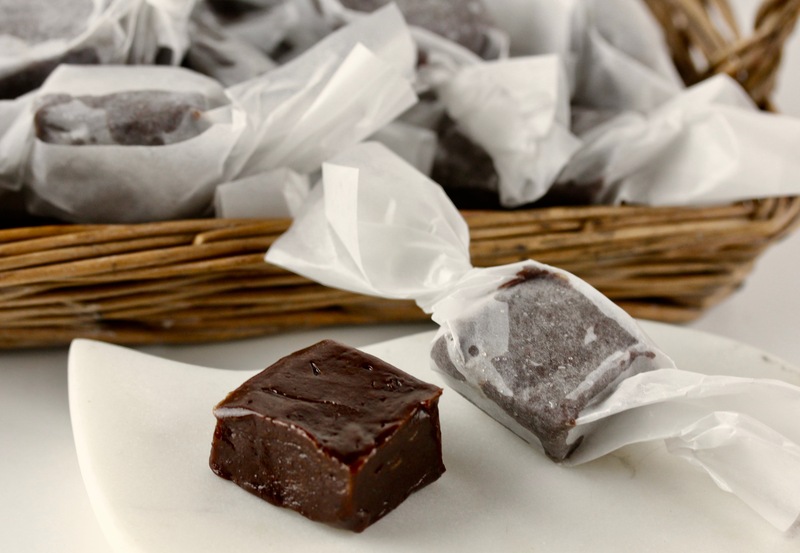 Store fudge in refrigerator and remove from freezer a few minutes before serving.